today is the last day of my book miniseries! 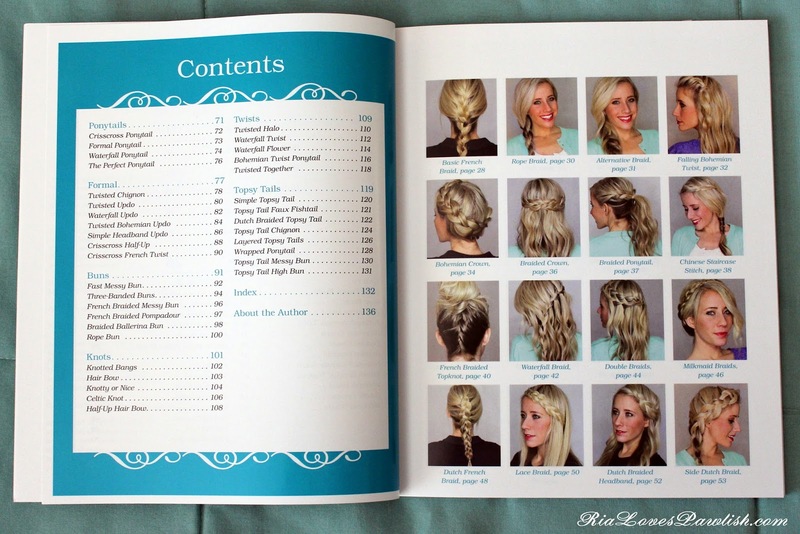 the final book is The New Braiding Handbook (60 Modern Twists on The Classic Hairstyles) by Abby Smith (it's a press sample, kindly provided to me for review!). Abby Smith runs the blog TwistMePretty.com, be sure to check her out there! 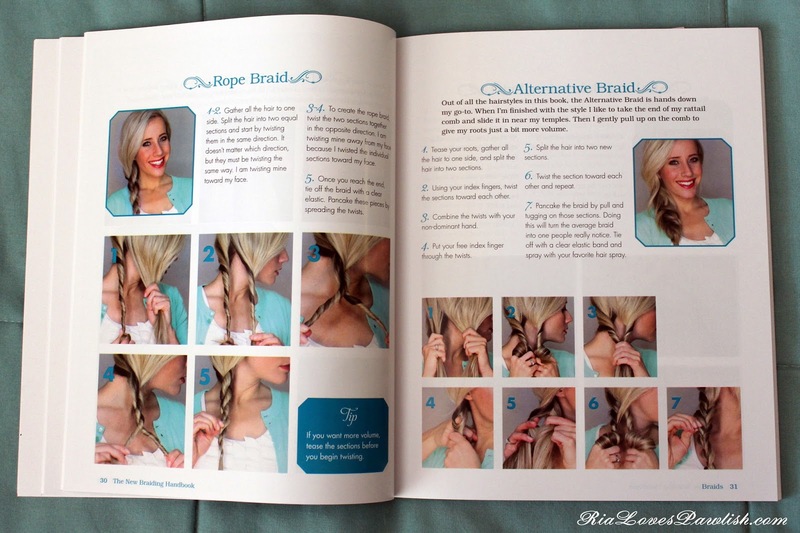 The New Braiding Handbook gives step-by-step instruction on how to create gorgeous, braided styles... and the best part is, there are step-by-step pictures to guide you along the way! i feel like reading instructions is one thing, but having a photograph makes everything so much easier to understand. all of the following pictures are shown courtesy of Ulysses Press and Abby Smith! here's a look at the cover! it's a paperback book, making it easily transportable. 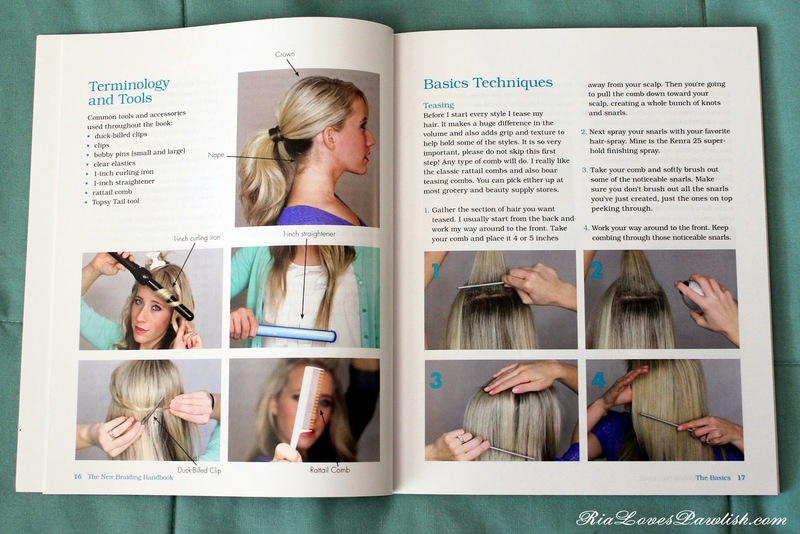 not only does this book have a table of contents... it has a photo of every hairstyle so you can easily find exactly what you're looking for! the very beginning has a written chapter about hair care, then we get into the basics... again with pictures to help along the way! there are all sorts of different braids to try... starting with the ultra-basic French, and moving on to the more complex, such as the Alternative Braid. i do think the book would be just a touch easier to use if it were spiral bound, then it would lay flat so much more easily. it will lay open and not close itself, with its binding, but as you can see in the photo, it won't go completely flat. definitely not a deal breaker, and is something i've noticed with most instructional beauty books! not only are there traditional braids, there are also loads of updo's! 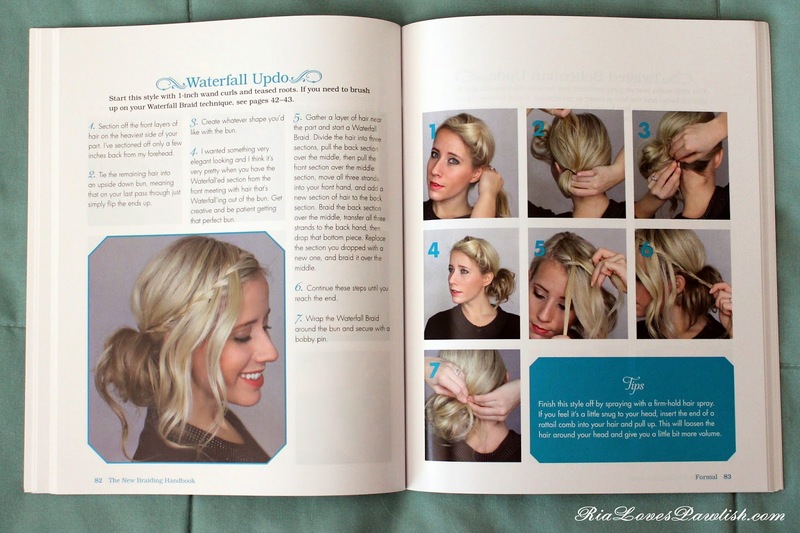 i absolutely love the messy chicness of the Waterfall Updo. 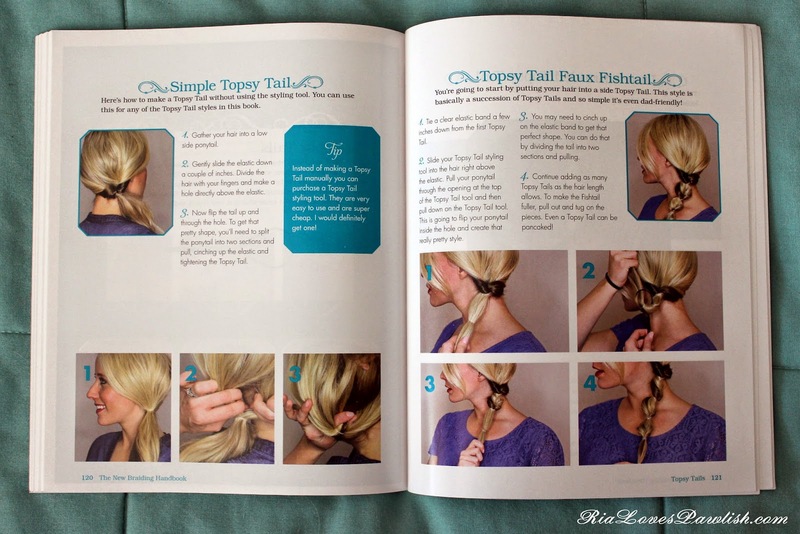 i was super excited to hairstyles using the Topsy Tail! this is something i loved doing when i was younger, i will definitely be sporting it again. Abby Smith shows you how to do the style with the Topsy Tail tool, and all the following styles can be achieved either with or without the tool! 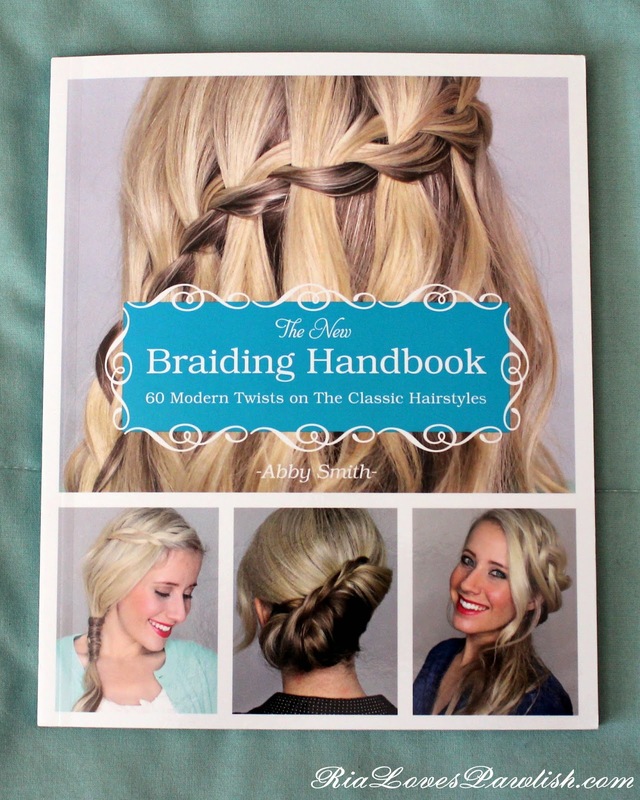 The New Braiding Handbook by Abby Smith retails for $16.95. you can find it here on Amazon, currently it's $13.56 for the paperback edition. there is also a Kindle edition available for only $9.99! i hope you've enjoyed my little miniseries of beauty books! big thanks to all the publishers that sent them to me, i loved checking them out :) are you going to be picking any of them up? which one stands out to you?